Stuart was CEO of CRT for 20 years before seeking a career in governance. 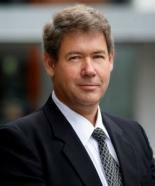 He is the immediate past chair of NZ Cricket and currently chairs Pioneer Energy Ltd and IFS Forestry Group Ltd. He sits on the board of Southern Generation Partnership, Wellsouth Primary Health Network and Road Transport Logistics Ltd. Stuart lives in Central Otago. Frank is a Fellow of the College of Chartered Accountants and has been the Chairman of Buller Electricity Limited for five years. He is also a Director of Westland Milk Products Limited and Buller Holdings Limited and a Trustee of Development West Coast. 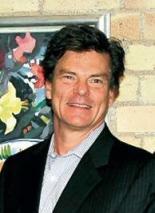 Fraser is the current CEO of Pioneer Energy, a position held since 2010. He also is the current chairman of Southern Generation Partnership and hold further director positions at Ecotricity and the Christchurch District Energy Company. He has more than 20 years experience in the energy sector as energy consultant in South Africa before moving to New Zealand and being involved in the distribution environment in both New Zealand and Australia. He held a position as General Manager at Northpower prior to joining Pioneer Energy. 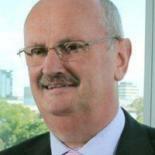 Graham is a retired partner of Deloitte, Chartered Accountants. 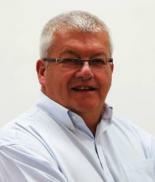 He has over 30 years’ experience as a financial and management consultant and audit practitioner. He is currently a director and Chair of the Audit and Finance Committee of Buller Electricity Ltd. He is also the Chair of Braemar Hospital Ltd, where he has been a director for twelve years. He is an independent appointee to the Audit and Risk committee of Waikato Regional Council and is the Chair of the Midland Region Fees review Committee. Roanne Parker has founded, partnered, grown and sold a number of companies across a broad range of sectors over 25 years. Today her commercial interests are predominantly in the areas of digital, technology and marketing data, from where she has delivered expertise to many of New Zealand’s most successful organisations, along with mentoring and support to earlier stage companies. 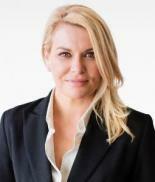 Roanne brings to the board M&A expertise and an entrepreneurial viewpoint. She holds a Certificate of Company Direction from the Institute of Directors in New Zealand and serves on the Boards of MetService, Creative HQ and Fishpond. Dianne has held a number of senior leadership positions with companies such as House of Travel, Sealord, Cadbury, and Office Products Depot. She is a Chartered member of the Institute of Directors and holds an MBA and Bachelor of Commerce from the University of Auckland. 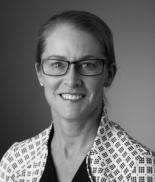 Dianne holds a varied portfolio of directorships which includes the board of NZX listed company Cavalier Corporation Ltd, Chair of Beds R Us franchise, Chair of Netball Northern Zone, and independent director for Chartered Accountants Australia New Zealand (CA ANZ), Public Trust, Northcote Road Holdings and West Auckland Trust Services. Previous directorships include the Breast Cancer Research Trust and Auckland Property Investors Association. Gary joined Pulse Energy in March 2013. With 30 years’ experience in the electricity industry, both here and overseas, Gary has considerable depth of knowledge of the energy market. During the 1990‘s he was CEO of TransAlta in New Zealand and also the independent market representative on the Wholesale Market Development Group (WEMDG) and a key player in the development of the first two large scale independent power plants. In 1999 he returned to Canada where he led TransAlta Generation in de-regulation and became CEO of Enmax Corporation, the largest energy retailer in Alberta. 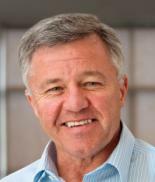 Gary was runner up for New Zealand CEO of the Year in 1998 and was Consumer’s Choice Businessman of the Year in 2009 in Canada. While living in Canada, he was CEO and Chairman of EnSource Energy, CEO of ENMAX Corporation and President of AltaGas Income Trust. He has been a director of Canada’s Climate Change Central, Alberta’s Climate Change Emissions Management Fund and several non-profit organizations. Gary is currently Chair of the Takapuna Primary School Board of Trustees. Yogesh has extensive experience in Strategic Planning, Business Controls and Compliance, Credit Management, Debt Collection, Call Centre Management, Revenue Assurance, Project Management, ISO and Quality Management System. Prior to joining Pulse, he had worked for Mighty River Power as Customer Risk Manager and Pacific Islands Business Controls Advisor for ExxonMobil. He also held management positions in Goodman Fielder International and Vodafone Fiji Limited. Yogesh holds a bachelor degree in Accounting and Management (USP, Fiji), Dip in Project Management (Aust) and Dip OHS (Aust). Sharnie joined Pulse Energy in October 2012. As the Marketing Manager, Sharnie was responsible for all marketing and sponsorship projects for Pulse Energy, Just Energy and Grey Power Electricity. Sharnie also managed all marketing and promotional material, external partnerships, and developed and supported sales campaigns. In April 2015, Sharnie was promoted to General Manager, External Relations and Communications. In this position, Sharnie provides corporate strength in communications and interactions with all partners and stakeholders and leads the development of new partnerships. Prior to joining Pulse, Sharnie was an Account Manager at Fairfax Media for 2 years. 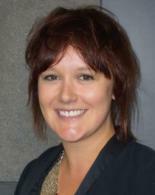 She has worked in New Zealand and England in Marketing, Account Management and Recruitment. Sharnie has a BCom (Hons) from the University of Otago. Artem joined the Pulse Energy Team as Financial Controller in January 2016 and was promoted to General Manager, Finance in September 2018. In this position Artem leads the finance team to deliver statutory and management reporting and partners with the other businesses to drive financial results. Artem’s key focus is to drive clear insights into what makes the business more competitive and what delivers value for Pulse in competitive and rapidly changing energy markets. 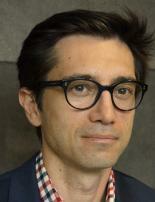 Artem has over 17 years' experience in finance roles. Prior to joining Pulse Energy, Artem was Group Financial Controller for TSX and ASX-listed Besra Gold, including a period of time as interim Chief Financial Officer. Prior to Besra Gold, he held a number of senior financial roles with Two Degrees Mobile, SKM (Jacobs) and Ernst & Young. He is a qualified Accountant (CPA) and holds an MBA from AIB Business School (Australia) and a Bachelor of Economics from the Higher School of Economics (Russia).